Well I'm a little sore today. My yoga retreat weekend was wonderful, but I'm feeling it today. ... I blame the Kundalini yoga session entirely. 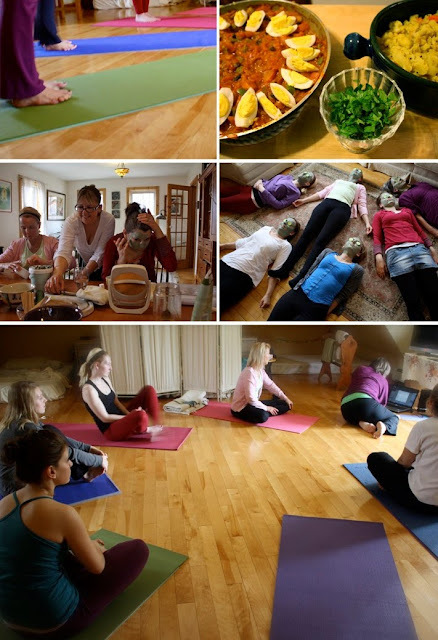 The weekend was filled with wonderful women, delicious Indian curries, several different styles of yoga practice, and homemade beauty treatments (those are clay & honey face masks in the picture below... we look ridiculous, but it was fun! ).